Dr. Urban was born and raised in New Jersey. He obtained his undergraduate degree from Rutgers University – New Brunswick. There, he was accepted into an accelerated 7-year program where he went on to receive his Doctor of Dental Medicine degree from the University of Medicine and Dentistry of New Jersey. Dr. Urban then completed a General Practice Residency at Morristown Medical Center, one of the premier residency programs in New Jersey. It had always been Dr. Urban’s desire to open his own practice, and, after several years as an Associate Dentist, he has done just that. Conveniently located in the Brick Professional Complex, he looks forward to developing long lasting relationships with his patients. The office atmosphere is both calming and fun. Patients are able to receive personalized care with VIP customer service. 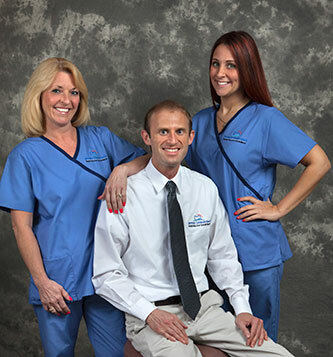 Dr. Urban provides painless dentistry for the whole family including cosmetics, implant dentistry, and Invisalign. Dr. Urban participates in numerous continuing education courses so he can provide his patients with comprehensive, state of the art dental care every day. He is currently in the process of becoming a Fellow in the Academy of General Dentistry, something only a small percent of dentists obtain. In addition, he is Past President of the New Jersey Academy of General Dentistry (njagd.org) and an active member of the New Jersey Dental Association and Monmouth-Ocean County Dental Society. In his spare time, Dr. Urban enjoys spending time with family and friends, biking, and fishing. Stop by and meet him today!